The PEN Trio just finished a successful tour of Colorado and Wyoming this past week. They gave performances and classes at Colorado College, University of Colorado (Boulder), and at the University of Wyoming (Laramie). The PEN Trio in Colorado Springs at the Garden of the Gods. 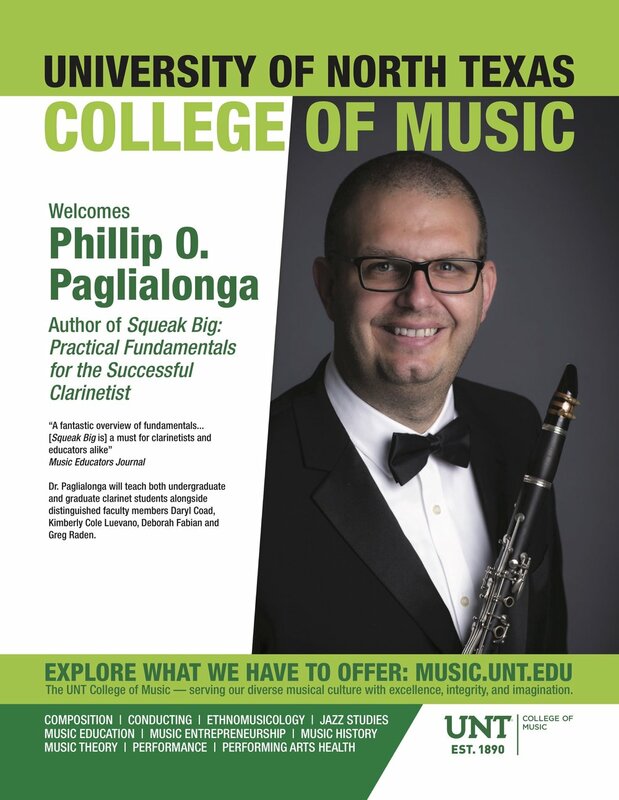 Phillip is excited to announce that he will present a clinic at the Texas Music Educators Association 2019 Conference in San Antonio with UNT colleagues Daryl Coad, Deborah Fabian and Kimberly Cole Luevano. The session is entitled Sound Fundamentals: Building Blocks of Clarinet Tone, and will help band directors and private teachers understand the basic mechanics of clarinet sound production and to quickly address many of the problems students encounter. Last week Phillip participated in ClarEssentials at the University of North Texas. ClarEssentials is a summer program for talented high school clarinetists on the UNT campus in Denton. During the course of the week Phillip presented a chamber music recital with UNT colleagues Deborah Fabian, Kimberly Cole Luevano and John Scott, taught private lessons, presented a master class and coached chamber music. The PEN trio performing Sergio Delgado's Triple Concerto. The PEN trio just returned from India and the United Kingdom. They performed at the Royal Birmingham Conservatoire in England before traveling to India. 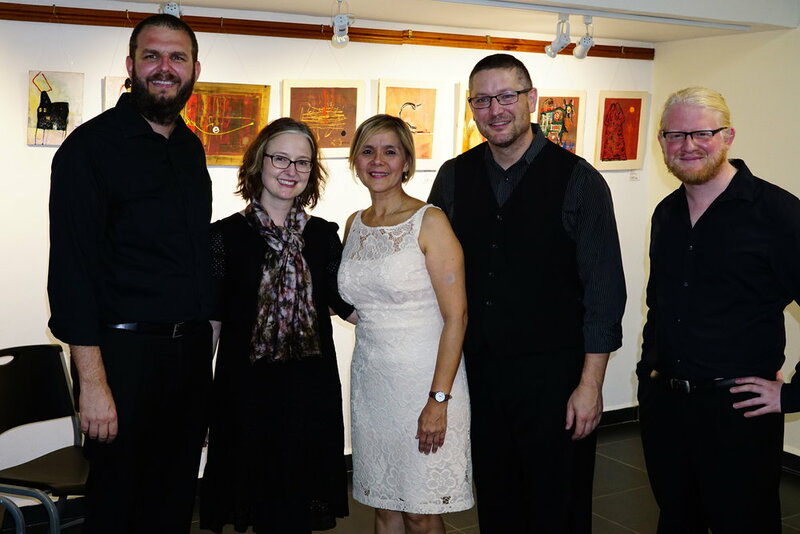 Their performance in New Delhi at the India International Centre was sponsored by the Delhi Music Society and the Delhi Music School and included the premiere of Three American Canvases by composer Daniel Perttu. During their trip to India the PEN trio also visited the Taj Mahal. Yesterday Phillip performed James Whitbourn's Annaliese in Washington, D.C. at the Kennedy Center. Click here to watch this performance on the Kennedy Center website. 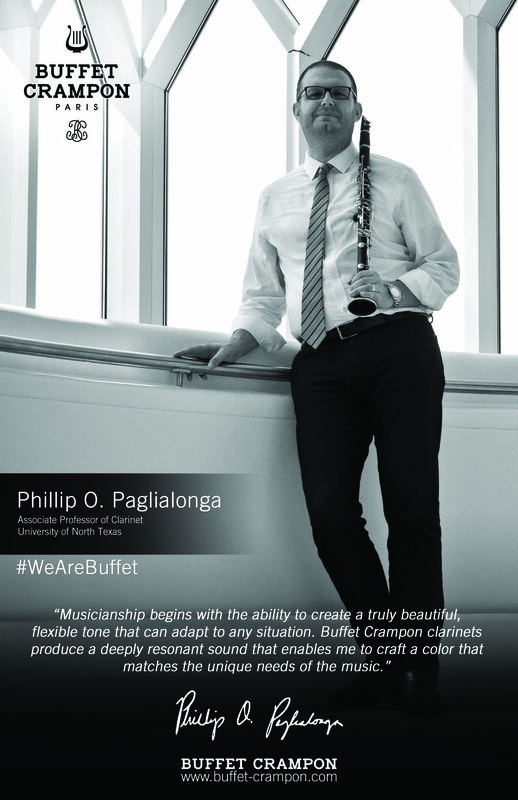 Phillip recently became an Artist-Clinician for Buffet Crampon. He has long enjoyed playing Buffet Crampon instruments and is excited to join this distinguished artist roster. This weekend Phillip was a featured guest at the Troy University Clarinet Day in Troy, Alabama. The event featured several guests including: Maria Du Toit, Wojtek Komsta, Michael Lowenstern, Katrina Philips as well as hosts Timothy Philips and Jennifer Fraley. Phillip performing Rozsa's Sonatina at Troy University Clarinet Day. This past week, the PEN trio was on tour in Arizona and visited Arizona State University, Northern Arizona University and the University of Arizona. At each school the trio performed a recital and presented master classes. Today the University of North Texas announced that Phillip has accepted the position of Associate Professor of Clarinet. Beginning in the fall of 2018 he will teach applied clarinet to both graduate and undergraduate students in Denton, and will remain active as a performer and pedagogue. For more information about clarinet studies at the University of North Texas visit: https://clarinet.music.unt.edu. The PEN trio just returned from San José, Costa Rica where they did a week-long residency at the Universidad de Costa Rica, culminating in a featured performance in the Sala Cullell. 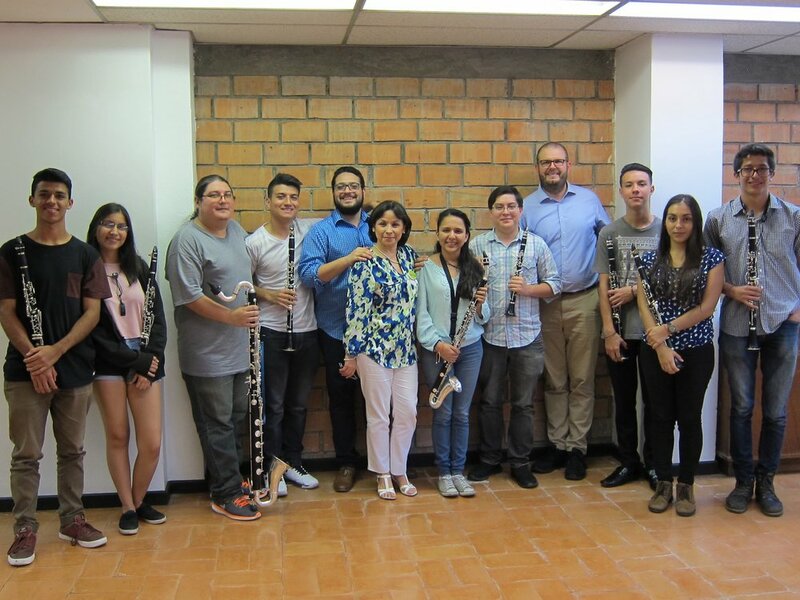 While in San José, Phillip presented master classes for students at the Universidad de Costa Rica as well as from the Instituto Nacional de la Música. Check out the new VT ClariNews which features information about the Virginia Tech Clarinet Studio and Alumni! Click here to read VT ClariNews. Last week Phillip returned to China where he presented a solo recital of electro-acoustic works as well as a master class at Zhaoqing University. Phillip just returned from a trip to Israel where he performed James Whitbourn's Annalies with Colla Voce and Musica Viva. The trip included performances in Haifa and in Tel Aviv at the Israel Conservatory of Music. The work is based on the Diary of Anne Frank and is set for violin, cello, piano, clarinet, soprano solo and choir. After a performance at the Israel Conservatory of Music in Tel Aviv. In June 2017 Phillip will record a solo album with pianist Richard Masters featuring works by John Ireland and Sergei Prokofiev. The album is tentatively scheduled for commercial release in 2018. This project is made possible thanks to the generosity of the John Ireland Trust, Bruce Carver Multicultural Grant, Oleg Prokofiev Trust, Moss Center for the Arts, and the School of Performing Arts at Virginia Tech. Phillip just returned from Guatemala where he was performing with the PEN Trio and teaching for several days at the Escuela de Musica Metropolitana in Guatemala City. The trio was also featured on Guatemala's national radio station, TGW. The show, "Musica en Transito" is a regular hour-long program hosted by Jorge Sierra. The broadcast included performances of works by M. Shawn Hudley, Villa Lobos, Canteloube and Milhaud, as well as interviews with the help of Pedro Rendon (translator). The PEN Trio was featured today on Utah Public Radio after a concert at the Nora Eccles Harrison Museum of Art in Logan. The feature included a short interview with the trio as well as some brief sound clips from the concert. Phillip's 2016-7 concert season is now well underway after a solo recital at Virginia Tech as part of the "Music on Mondays" series featuring Weber’s Clarinet Quintet as well as electro-acoustic works by Daniel Eichenbaum and Nikola Resanovic. Next week he will tour Utah and Idaho with the PEN Trio, then in November the trio will premiere a new work by Jon Grier entitled Security Lapses in South Carolina before traveling to Florida and Guatemala for concert tours. In December he will appear in Haifa and Tel Aviv, Israel with Musica Viva and the Colla Voce choir in performances of James Whitbourn's moving Annelies. In February the trio premieres new electro-acoustic works by Daniel Eichenbaum and Charles Nichols in West Virginia, and then in March Phillip will travel to China to teach and present solo recitals. In April the trio will visit Havana, Cuba as featured guests at the Fiesta de los Clarinetes. Then in May Phillip will perform Rossini's Introduction, Theme and Variations in California with the San Luis Obispo Chamber Orchestra before the PEN Trio finishes the season with a tour in Puerto RIco. Phillip just returned from Panamá where he performed at the Festival Afredo de Saint Malo with the PEN Trio. 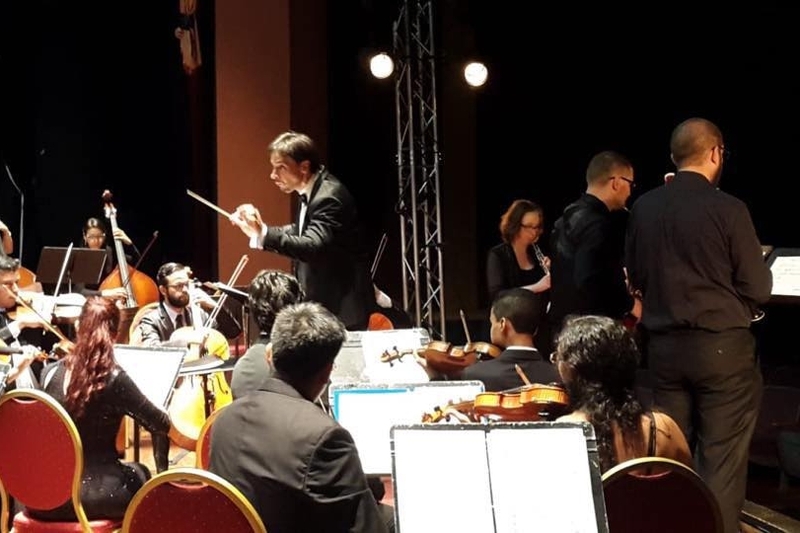 The Festival Afredo de Saint Malo is one of Panama's best classical music festivals and includes performers from both Panama and around the world. While in Panamá Phillip also presented a master class at the Instituto Nacional de Música de Panamá. Click here to see the full review of Squeak Big: Practical Fundamentals for the Successful Clarinetist in the most recent issue of Michigan Music Educator (the journal of the Michigan Music Educators Association). Phillip will perform with the Cuarteto de Clarinetes de Medellín (Colombia) on Thursday August 4 at ClarinetFest in Lawrence, Kansas. The program will feature works by Colombian composers on a program entitled "South American Flavors". The PEN Trio will also perform at ClarinetFest on Saturday August 6 in a program that will include works by Wendy Wan-Ki Lee and Witold Lutosławski. Phillip just returned from Wrocław, Poland where he was a featured performer at ClariMania. ClariMania is one of Europe's largest festivals devoted to the clarinet and includes distinguished performers from around the world. Phillip performed a featured recital that included two electro-accoustic works as well as Muczynski's Time Pieces. As part of his time at ClariMania Phillip also presented a master class. Last week the PEN Trio premiered Blue Fountains, Red Flames by distinguished Chinese composer Wendy Wan-Ki Lee at the Lawrence Conservatory of Music. Lee is currently on sabbatical from the Chinese University of Hong Kong and teaching at the University of Chicago. The trio also performed the work on tour throughout the week with performances at the University of Wisconsin-Madison, University of Wisconsin-Eau Claire and the University of Minnesota-Duluth. The work will be published later this year by TrevCo-Publishing in the PEN Trio Collection. Members of the Virginia Tech Clarinet Studio just returned from a weeklong visit to Port of Spain, Trinidad. 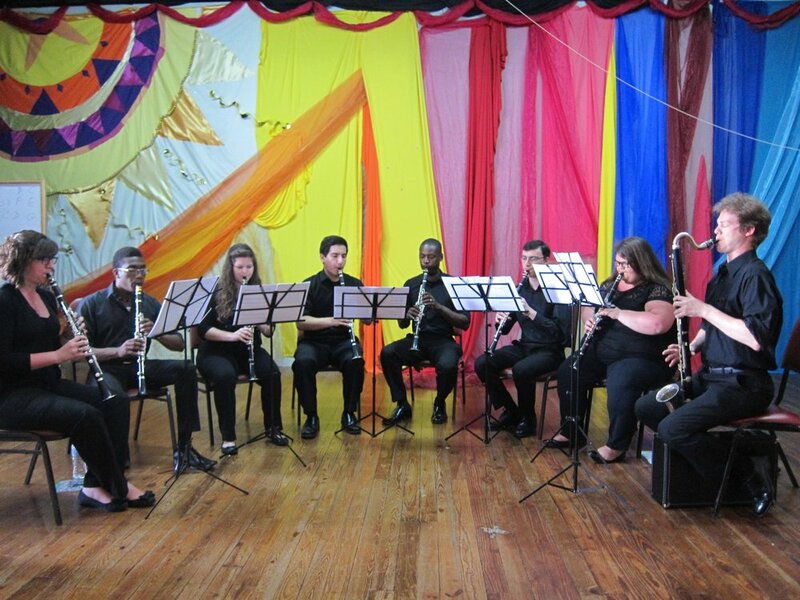 The visit was a part of an exchange with the clarinet studio at the University of Trinidad and Tobago and classes, sightseeing and three performances. Click here for more information about this trip. This will be another busy year with several important concerts, including trips to Trinidad with the Virginia Tech Clarinet Studio in March, performances at ClariMania in Wroclaw, Poland in April, and several other performances throughout the United States. The PEN Trio's season will include performances at ClarinetFest 2016 in Lawrence, Kansas, concert tours in Idaho and Wisconsin, as well as a tour in Cuba that will include performances at the Centro Nacional de Musica de Concierto and at the Universidad de las Artes in Havana. Check out the review of Squeak Big: Practical Fundamentals for the Successful Clarinetist from the December 2015 issue of The Clarinet (the journal of the International Clarinet Association). Dec-15 'Squeak Big' Reviewed in 'The Clarinet"
Click here to read the full review of Squeak Big: Practical Fundamentals for the Successful Clarinetist that appeared in the December issue of The Clarinet (the journal of the International Clarinet Association). Renowned Chinese composer Wendy Wan-Ki Lee is currently working on a new piece for the PEN Trio. The piece, titled Blue Fountains, Red Flames, will be premiered in April 2016 at Lawrence Conservatory in Appleton, Wisconsin and published in the PEN Trio Collection by TrevCo Publishing. Phillip was recently awarded a Niles Research Grant along with Virginia Tech piano professor Richard Masters. The grant will allow for travel to Rochester, New York to work with distinguished Eastman School of Music Professor Jean Barr in preparation for an upcoming recording project. It was recently announced that the Bruce Carver Multicultural Grant has been awarded to the Virginia Tech Clarinet Studio to support an exchange project with the University of Trinidad and Tobago. In March 2016 the Virginia Tech Clarinet Studio will travel to Port of Spain, Trinidad to work with faculty and students at the University of Trinidad and Tobago. Then a few weeks later students from Trinidad will visit Blacksburg to reciprocate. The participating students will present multiple concerts in both locations that will include a new work for clarinet ensemble and steel pan drum, as well as a multimedia work for clarinet ensemble. The PEN Trio recently recorded their debut album, "Found Objects" in New York City with Boston-based Soundmirror. The album will include new works, written expressly for the ensemble, by William Bradbury, Jenni Brandon, M. Shawn Hundley and Aleks Sternfeld-Dunn with an anticipated commercial release in 2016.